Recently, one of my friends from home who frequently drives a Cadillac Escalade told me that he received a call from the nearby Cadillac dealership requesting that the car be taken back in due to a recent defect with the airbag system on this particular vehicle. I was initially shocked to hear this story, but then I stumbled across an article from the LA times which went into greater detail on this issue. According to this article, General Motors has recalled more than 4 million vehicles in order to fix an airbag software defect already linked to one death, and three injuries. The problem has to do with a sensing module that can go into a test mode as the person is driving. In this mode, airbags will not inflate in a crash and seat belts might not work either. Once owners take their vehicles to a nearby dealer for the latest technological update, there should be no further problems. Even more importantly, GM can look back on this incident when designing safety features for future models. The company was originally going to implement the over-the-air technology that is present in the Tesla models to their own vehicles. But, after Tesla’s most recent recall, this will no longer be the case. According to the chief engineering manager, the engineering team’s number one focus is security and the company is creating safeguards to make consumers feel more secure as they are driving. Looking back on bankruptcy and where they are now, the future seems very promising for them. I thought that the ideas presented in this article were very similar to the concept of corporate social responsibility and the iron law of responsibility. 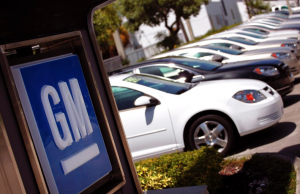 Rather than brushing this issue aside and pretending like there is no problem at hand, GM took immediate initiative to improve the safety of their products. They demonstrated power that the vast majority of us would believe to be responsible behavior. So, my question for you guys is should GM’s factories be investigated throughout the production process similar to how Foxconn was by the FLA? Or, should we accept the fact that the company is recognizing that security is their number one concern when designing their products?